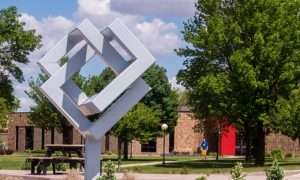 Each year, one outstanding graduate of Northwest Iowa Community College is recognized for his or her accomplishments. The recipient of the 2018 Alumnus of the Year is John Dvorak of Ankeny. John is a 1975 Powerline graduate from Northwest Iowa Community College and is currently employed as the Safety Director for the Iowa Association of Electric Cooperatives. The Alumnus of the Year recognition was held in conjunction with the College’s May Commencement exercises on May 11, 2018. 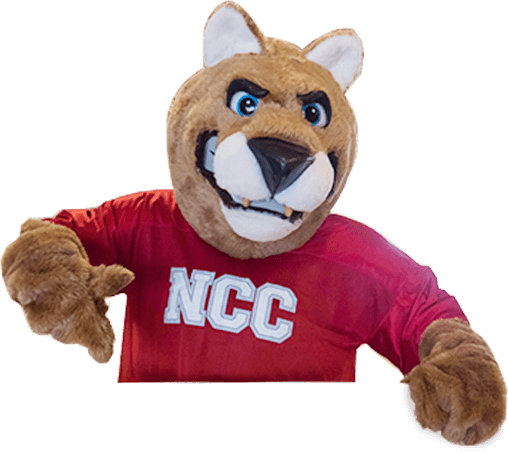 John Dvorak grew up in Van Horne, Iowa and began at NCC in the summer of 1974. Upon completion of his program, John moved to Albia, Iowa, where worked as an apprentice lineman at Chariton Valley REC. John worked there as a lineman and foreman for 25 years, and then spent the next 8 years in the role of superintendent. In 2007, John took a position with Musco Sports Lighting. During his time with Musco, John traveled with a small crew to set up portable lighting at many cultural and sporting events. Some of John’s projects included setting up lighting for NASCAR races, the Winter Olympics in Vancouver, the X-games in Aspen and cricket competitions in the United Kingdom, and race tracks in Abu Dhabi. John was also part of a team that set up lighting at Grant Park in Chicago on Barack Obama’s Election Night in 2008. In 2009, John became a trainer with the Iowa Association of Electric Cooperatives, where he traveled the state of Iowa doing training and crew inspections for local REC’s. A few years after working as a trainer, John became Safety Director for the organization. Since taking on this role, John has rebuilt the program, and his changes have led to the national recognition of the Iowa Association of Electric Cooperatives’ Safety program. John’s family includes his wife of 43 years, Linda, their two grown children, and two grandchildren.